After a nice sailing holliday Janneke is going back to Holland, to her garden, violin and cat. I have to return to my project Yrvind Ten so with sorrow in our hearts we are selling our beautiful Västbris. 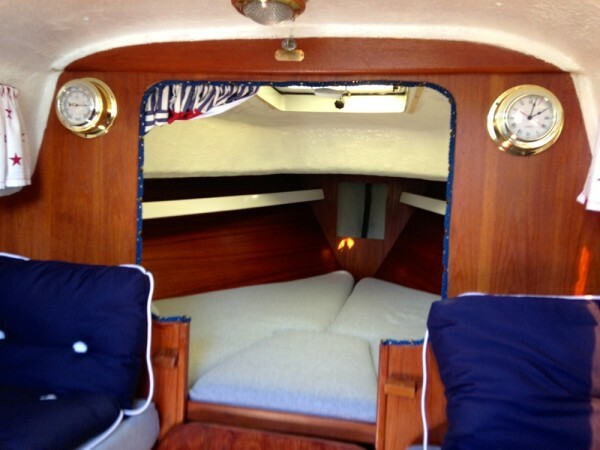 She is good quality built on the island of Orust with teak interior and lead keel. She sails very well. 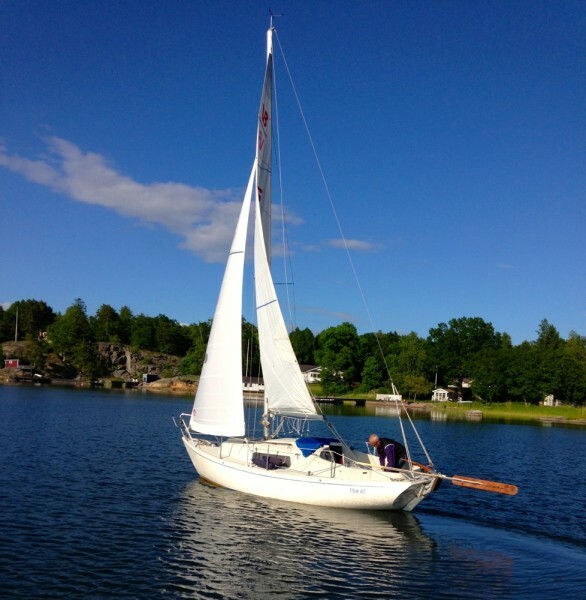 She has a new mainsail 2013 and a new rolling furling jib 2012. In addition there are also an older spinnacker, genua and mainsail in good condition. The upholstery is new and she is generaly kept in nice clean condition. 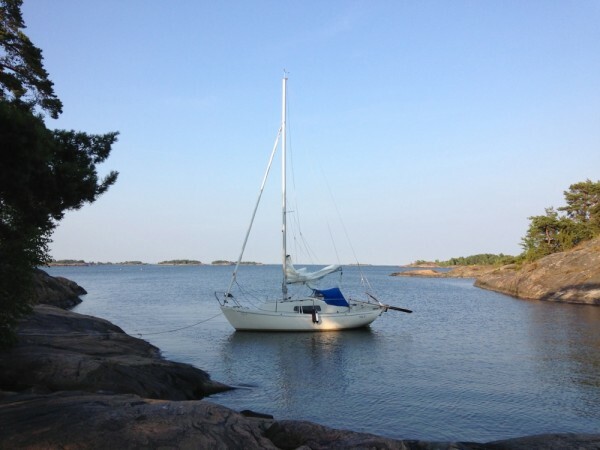 She is a good alternative to an Vega for an exctended cruising for a person that wants a smaller boat. She is 6.15 meter long, has a beam of 2.12 and a draft of 1.1 meter. 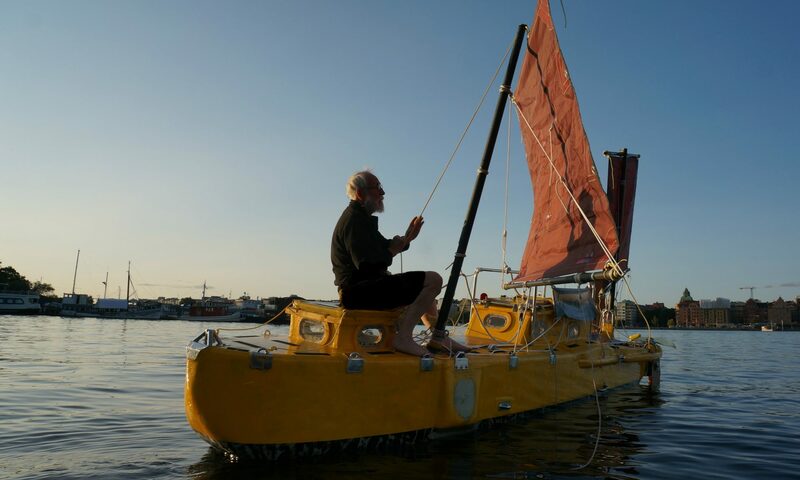 Her displacement is 1.6 tons 50 % of that is in her full lenght lead keel. For more information call Yrvind at +46 70 620 05 50 If at once I do not ansver try again.